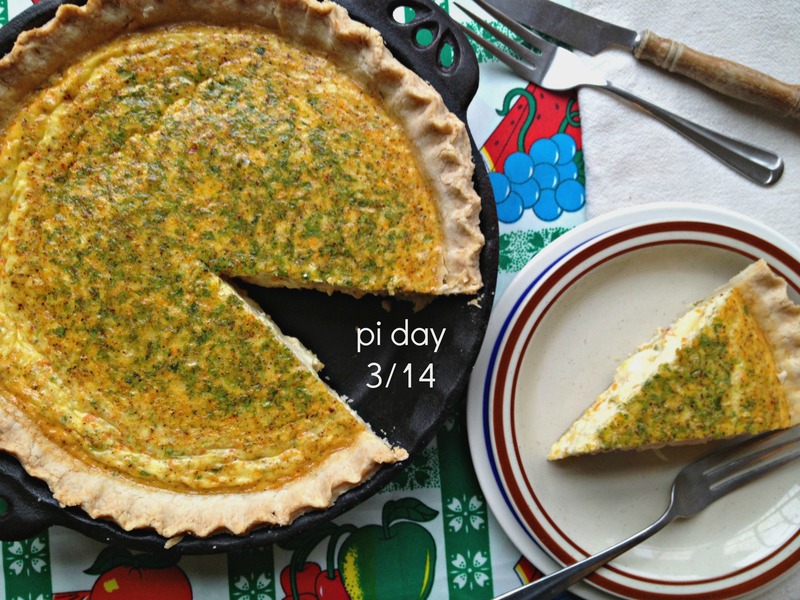 Over at Virtual Potluck, we decided to celebrate this mathematically delicious day by, of course, making pies! Sweet, savory, handheld, mini, meat, cheese – all kinds of pies under one roof (link)! We’re also giving away some great pie making goodies thanks to our sponsors. Be sure to scroll to the end of this post to enter! Lately, we’ve been trying to lower our sweet consumption, so I decided to make a savory pie, a.k.a, a quiche. And since carrots are one of my favorite vegetables, that was the focus. A touch of spice from fresh jalapeños and ground cayenne pepper make this a delicious meal in a slice! The crust recipe was adapted from this Perfect Vegan Crust from Food52. My flour took a little more water than they recommended and I left out the sugar and added pepper since it was going to be a savory pie! It’s a great dough with intense coconut flavor! I’m in love with Kelapo Baking Sticks, the flavor is awesome and it made a beautiful, crumbly crust! Easily adaptable recipe to whatever vegetables you have available, this savory pie is a great lunch served with a side salad. For the crust: heat oven to 350F. Place all the ingredients (expect the water) in a food processor. Blend for 3 seconds. Slowly drizzle in the ice water until the dough looks crumbly. Place dough on lightly floured surface and roll out using a rolling pin. Lay over pie pan and crimp the edges. Cover with parchment paper and dried beans so the dough does not puff. Par-bake for 15 minutes. For the filling: finely dice or place all the vegetables in a food processor. Once diced, over medium heat and a drizzle of olive oil, sauté vegetables until cooked and aromatic. In a large bowl, whisk eggs, half and half, salt, pepper, and cayenne. Add vegetables to this mixture and pour into par-baked crust. Sprinkle cheese over the top and bake for 40 minutes to an hour, until pie sets. I love your savory combos!! This looks totally delicious! I have never tried coconut oil, must do it soon. This looks amazeballs Nelly. Love the coconut oil crust. I am just getting in to using it. Love!! What a great combination! Sweet, savory, spicy–awesome! Happy Pi Day! Brian says that your pie and the crustless one are the pies that sound the best to him. I, being the glutton that I am, want a slice of each because they all sound delicious!!! I’m a savory pie kind of gal- and love, love your carrot and jalapeno combination! Better the crust was extra delicious too!! Wowee crazy big giveaway extravaganza, Nelly! Delicious looking pie too, you know I love anything jalapeño! Good luck to all the participants! Love that you made a savory pie! Your flavor combo sounds amazing. 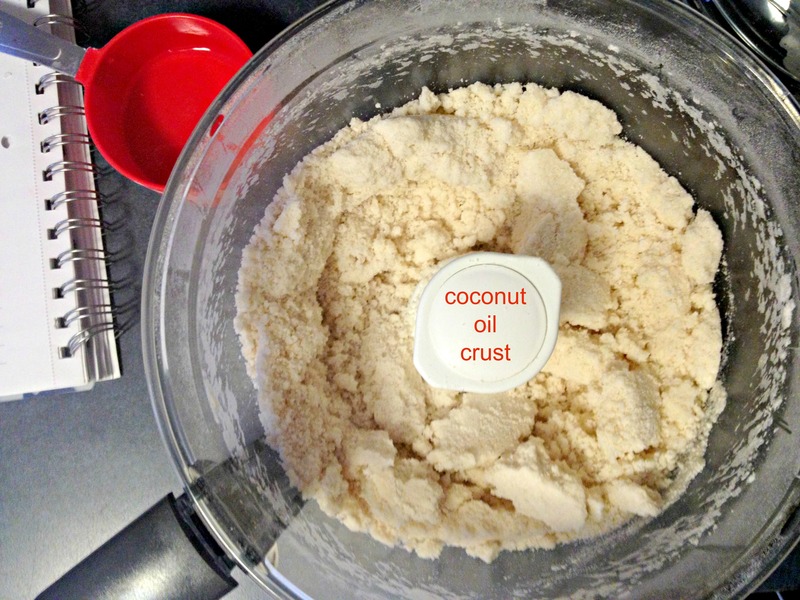 I really need to try making pie crust with coconut oil – I’ve been saying I was going to do that for a while.